She led the prosecution of Proteas captain Hansie Cronje at the King Commission, and ‘brought innovation to what is lacking in the criminal justice system’. 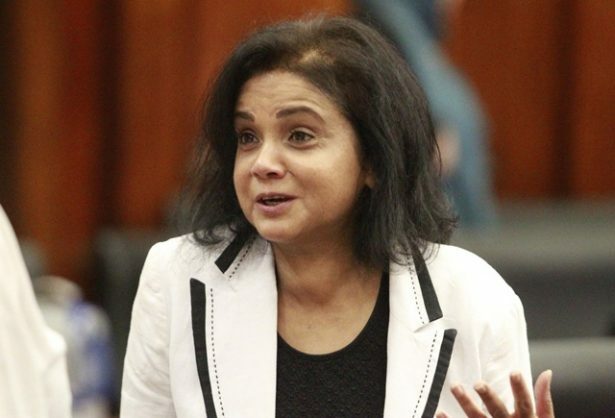 Former KwaZulu-Natal top prosecutor Shamila Batohi is the clear frontrunner to fill the national director of public prosecutions post expected to be announced today, according to the Institute for Security Studies (ISS). While President Cyril Ramaphosa was likely making the most important appointment of his presidency today, it was clear that of the five “very competent” candidates Batohi far outranked her rivals, said senior ISS researcher Anton du Plessis. The former director of public prosecutions (DPP) in KwaZulu-Natal has also served as senior legal adviser to the prosecutor at the International Criminal Court since 2009. In 1995, she was in a high-level team appointed by Nelson Mandela to investigate apartheid-era hit squad activities. According to Corruption Watch, Batohi has an illustrious pedigree, barring a minor incident. A R1 250 speeding fine against her was withdrawn when she was the KZN DPP. This was, however, attributed to an administrative error. Du Plessis said Batohi showed a level of innovation and maturity the post required in the post-Zuma era. “She demonstrated experience and maturity that the others can’t compete with,” said Du Plessis. “She has an understanding of the gravity of the job because of her experience with high-profile cases. And she also brought a level of innovation and inspiration that stood out in her interpretation of what is lacking in the criminal justice system, and how she would deal with corruption and coming up with special directorates. Experts lauded the unprecedented level of transparency in the appointment process, with shortlisted candidates’ interviews televised. The Democratic Alliance’s Glynnis Breytenbach, who turned down the candidacy for the top job despite working for decades as an NPA prosecutor, said it was a step in the right direction. Siyabulela Mapoma: He is a former member of the Scorpions, the elite investigative agency replaced by the Hawks. He has worked as a prosecutor, a magistrate and an advocate in the corporate sector and is on the Bisho Bar. Simphiwe Mlotshwa: He is a former acting director of public prosecutions in KwaZulu-Natal who was removed when he refused to prosecute former KZN Hawks head Johan Booysen allegedly under pressure. Rodney de Kock: He is the current Western Cape DPP known for attaining plea bargains from the murderers in the “honeymoon murder” case involving British businessman Shrien Dewani. Shamila Batohi: She was legal adviser to the prosecutor at the International Criminal Court from 2009 until she resigned recently. She also led the prosecution of Proteas captain Hansie Cronje at the King Commission. Andrea Johnson: She is the prosecutor who worked with Gerrie Nel in the Oscar Pistorious murder trial and was in the team that convicted Jackie Selebi in 2010.